Electronic Communications – When you use our web site or send us email, you are communicating with us electronically. You agree to receive communication from us electronically. You agree that what we provide to you electronically satisfies any legal requirement stating that such communications must be made in writing. License – The Companies grant you a limited license to view and use this web site and not to download or modify it in part or whole. You are explicitly not granted permission to use data gathering tools, link directly to individual site elements, or otherwise exploit this web site in part or whole for commercial purposes. You are given permission to link to the home page of this web site only, but you may not use the Eye Boutique nor COR Eyewear logos in that link without permission. Your Account – It is your responsibility to keep your account login and password confidential. The Companies do not sell any products to children but rather to adults who can make purchases with a credit card. If you are under 18 years old, you may use this web site under the supervision of a parent or guardian. The Companies reserve the right to refuse service, delete accounts, remove and/or edit content, and cancel orders at their discretion. Product Descriptions – Our product descriptions are as accurate as possible, but we do not guarantee that they are correct. If a product you receive is not as it was described on the site, then your only option is to return it in unused condition. Other Companies - The Companies do not assume any responsibility or liability for any third-party services offered through our web site. EyeBoutique.com and any information found on the site are offered for informational purposes only. The Companies are not liable or responsible for the availability, usefulness, or accuracy of the content made available or transmitted to this site. The information has not been verified by an outside source or authenticated either wholly or partially by eyeboutique.com. The Companies are not responsible or liable for any misfortune, hardships, or injury resulting from the use of this site. Products damaged by the shipping company. Packages delivered, but not received by the customer. Please contact your shipping company for lost and damaged claims. Copyright © Eye Boutique 2018. Copyright © COR Eyewear 2018. All rights reserved. The materials on this website, including all text, images, graphics, design concepts and information, are protected by applicable copyright laws. 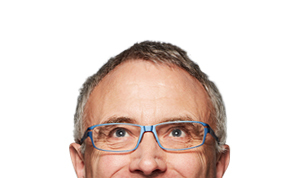 Reproducing, copying, duplicating, publishing, distributing, or use of any information on EyeBoutique.com, in whole or part, is restricted (except as provided by the Terms & Conditions of this site or with written permission from the Companies). 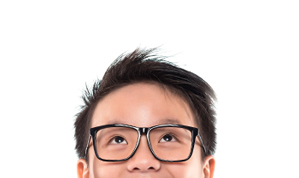 All content that appears on EyeBoutique.com, including all designs, illustrations, icons, photographs, video clips and written materials, as well as the compilation of the website, and other materials, are the exclusive property of COR, LLC or our licensors and is protected by United States and international copyright laws. All trademarks, service marks, and trade names that appear on the website and the overall “look and feel” are proprietary to COR, LLC, or the respective owners. You may not display, reproduce, or otherwise use the content or materials, without first receiving written consent from us. You may not remove or otherwise modify any legal or trademark notices from any content we make available. Any unauthorized use of any content or materials is strictly prohibited and violates copyright, trademark, and/or other intellectual property laws, and/or the laws of privacy, publicity, and/or communications regulations and statutes. All COR, LLC products come backed by a 30-day limited warranty. 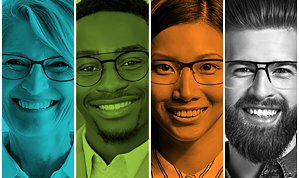 COR, LLC warrants new eyeglasses to you, the original retail purchaser, for 30 days from the date of purchase, against material or manufacturing defects. Warranty is void if the product shows evidence of damage by misuse, humidity or any liquid, smoke or fire, improper handling methods, or alterations. By clicking “Submit Order”, I agree to Purchase and Pay for the item(s). I also agree to the Companies’ Policies and am solely responsible for any breach of my obligations under this Policy & Agreement and for the consequences (including any loss or damage which the Companies may suffer) of any such breach. By accepting delivery of any product ordered from the Companies, you (“Customer”) agree to be bound by the Policies, Terms & Conditions listed. You and the Companies agree to these Policies, Terms & Conditions are the exclusive terms governing the sales transaction between Customer and EyeBoutique.com. Any attempt to alter, supplement, modify or amend these terms and conditions by the Customer will be considered a material alteration of this agreement and, therefore, are null and void. In addition, these terms and conditions are subject to change at any time, without prior written notice. Therefore, please check these terms and conditions carefully each time you place an order with or accept delivery of any goods from EyeBoutique.com. 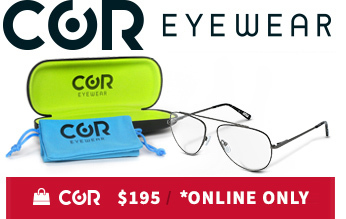 All COR Eyewear products purchased online have a 30-day return or exchange policy. A full refund or an exchange will occur within 30 days of receipt, if the customer is not totally satisfied with the purchase. Refunds will be credited to the original payment method. While we are eager to guarantee the quality of our products, all returns must be pre-approved by our customer service department. Please contact us at 262-432-1128 to contact a representative. Our standard delivery method is UPS, USPS Ground. These shipping rates are for the 48 continental United States. If you are located outside of the 48 continental United States, please contact us for shipping rates. Faster shipping methods are available for an additional charge. Please contact EyeBoutique.com to make arrangements for any special shipping needs for your purchase. The Companies understand the importance of keeping personal information private and secure. While we do not transmit personal information via our Site, users are urged not to provide personal information via e-mail because e-mail is not a secure method of communication. The Site does not collect names or e-mail addresses unless voluntarily provided by the visitor. If you send e-mail with a question or comment, or fill out a Web-based form, that information will be used only to respond directly to you, unless otherwise stated. Personal information will not be released, sold or given to outside parties, unless required by a court order, legal process or investigation conducted by a local or federal government agency. * Name of the browser and type of computer (PC or Macintosh) used. * Web page last visited before coming to this Site. * Activity on this Site, including pages visited and data downloaded. * Date, time and duration of the visit. * Search engine keywords used to find this Site. * Visitor’s IP address – a series of numbers representing either your computer’s network identification or that of your Internet access provider. This information is collected to improve your experience on the Site, to analyze the value of materials on the Site and to assist system administrators. By using this Site you consent to the collection and use of this information by the Companies for the above-stated reasons. Personally identifiable information is also collected each time you e-mail the Site. When you engage in certain activities on this Site, you may provide certain information about yourself by filling out and submitting an online form. It is completely optional for you to engage in these activities. If you agree to engage in these activities, however, the Companies may ask you to provide personal information, such as your name, mailing address, e-mail address, telephone and fax numbers and other personal identifying information. Depending on the activity, some of the requested information is identified as mandatory and some as voluntary. If you choose not to provide the mandatory information necessary for a particular activity, you will not be able to engage in that activity. We accept payment of certain fees by credit card via this Site. If you make a payment with a credit card, your name, credit card number and other payment information will be collected. Credit card transactions sent to us via this Site are encrypted for your protection. The Companies share such information with companies that help process the transaction that you requested. Your Web browser can be set to allow you to control whether you accept or reject cookies. It can also notify you each time a cookie is sent to you. If you choose to reject cookies, sites that are cookie-enabled will not recognize you when you return to those sites. As a result, site functionality may be lost. The Companies do not sell or give private information away to any outside agencies, except as described in this policy. The Companies have security measures in place to attempt to protect against loss, misuse and alteration of your user data under our control. The Companies cannot guarantee that the loss, misuse or alteration to data will not occur; however, it makes reasonable efforts to prevent such occurrences. Any credit card information, or other sensitive information, collected by eyeboutique.com is first transmitted to Secure Socket Layer (SSL) technology and then encrypted into our database, only accessible by authorized persons with right to access our systems. All authorized persons are required to keep information accessed via our database confidential. At our discretion, orders received over the phone or internet may require photo I.D. verification. 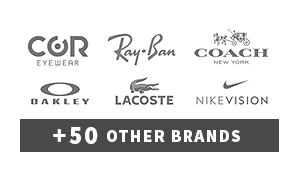 We prefer that customers pay for merchandise via MasterCard, Visa, Discover, American Express or Paypal. If you prefer, you can also utilize PayPal On-line Payment Services. For customers who prefer to mail us their order, we accept Cashier’s Checks or Money Orders **ONLY**. ATTENTION PAYPAL CUSTOMERS: EyeBoutique.com only ships to PAYPAL *CONFIRMED* addresses. If your address has not been confirmed by PAYPAL, please pay by sending us a cashiers’ check or money order. Thank you. 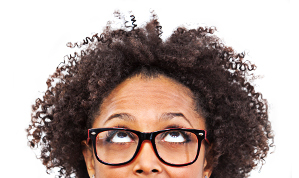 Currency in which transactions on EyeBoutique.com will be conducted is in United States currency.